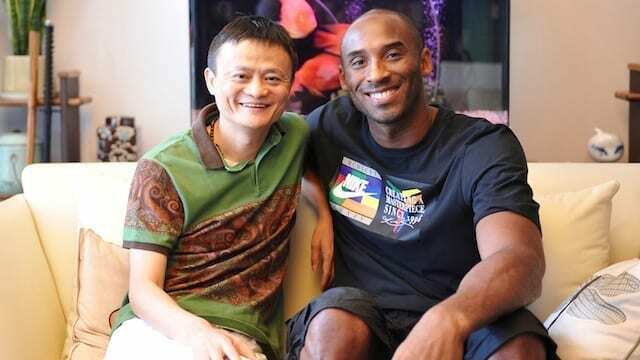 egendary Los Angeles Laker Kobe Bryant will join Katy Perry as the headline celebrities in Alibaba’s 11.11 Countdown Gala Celebration on November 10. Alibaba had earlier named Katy Perry as a “global ambassador” for the gala, which is being held in Shenzhen in the hours leading up to the eCommerce giant’s 11.11 Global Shopping Festival’s midnight kickoff. The American singer will perform a number of her chart-topping singles, including her most recent, Rise. Mixing sports stars, singers and actors is a variety show formula that has been long dormant in the West as broadcast entertainment, Alibaba’s eclectic event – a way to warm up online shoppers for the world’s largest online sale – drew 100 million Chinese viewers in its debut last year. Alibaba Group chief marketing officer Chris Tung called the gala “a global carnival, a world-class performance that involves the audience throughout the event with many touch points and is like nothing else you have experienced”. It’s those touch points that Alibaba is focusing on in order to make the four-hour broadcast something viewers can participate in instead of just watch. One interactive feature planned for the show will give the audience a chance to win prizes by shaking their phones with the Mobile Taobao and Tmall apps open during key moments. Alibaba will also offer a sort of “choose your own adventure” feature where viewers can vote to decide how some segments of the gala play out. While the Hangzhou, China-based company did not release the full roster of celebrities expected to appear on the live broadcast, choosing instead to tease out names over the coming week, Alibaba did say that Beth Behrs, star of US sitcom 2 Broke Girls, which is wildly popular in China, and German footballer Thomas Muller are on the list. Alibaba has recruited Hollywood talent to produce the gala. David Hill, who is known for his work on the Oscars, NFL Super Bowls and reality show American Idol, was brought on board earlier this month to oversee the event. “Combining Alibaba’s technology with my experience at other global events we are going to develop a spectacle like no other,” Hill said in the statement. In addition, four one-minute time slots will be awarded to those merchants, consumers and charities who submit the best advertisements or promotions to Alibaba. Those winning videos will be aired during the gala.